20 Aug 2018 --- Obesity rates among children in the Asia Pacific are growing at a rapid rate and will soon pose a serious healthcare threat to countries in the region if no action is taken, according to a recent warning by the United Nations’ Food and Agriculture Organization (FAO). 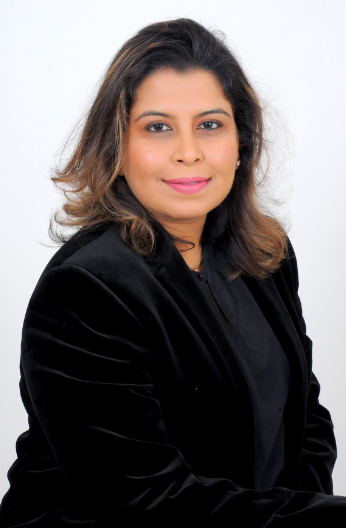 To combat the threat of “diabesity” – a term used to describe the close relationship between Type 2 diabetes and obesity – governments and families need to encourage healthier diets, more active living and stress management exercises, says Dr. Naaznin Husein, President of the Indian Dietetic Association’s (IDA) Mumbai chapter. At this year’s Vitafoods Asia 2018 conference, which will take place on September 11 and 12 at Singapore’s Marina Bay Sands Expo and Convention Centre, Dr Husein will deliver a talk titled “Beyond Diabesity and Lifestyle: An Overview of 21st Century Chronic Disease Determinants”, which will outline her research in the field and offer practical tips on reducing diabesity. To eat their way to better health, people should avoid simple carbohydrates such as sugar and include more complex carbohydrates and protein in their diet, Dr. Husein explained in a recent interview. 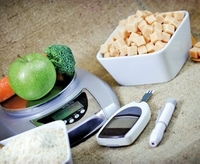 The third prong in fighting diabesity is finding ways to manage stress. When people are stressed, their bodies respond by releasing higher levels of a hormone called cortisol, which gives cells access to fat and glucose so that they can escape from the danger. Chronic stress leads to a sustained, higher level of blood sugar that increases the risk of diabetes. Furthermore, stressed people are more likely to eat unhealthily and exercise less. “Yoga, tai chi, meditation and other exercises that emphasize mindfulness help in reducing stress levels,” Dr. Husein adds. To encourage more people to lead healthier lifestyles, the Mumbai chapter of the IDA is embarking on a social media campaign that will explain food labels and emphasize the amount of exercise that people should do if they eat various popular dishes. “It’s hard to tell people not to eat this or that because they will feel deprived. But if you tell them that they will need to walk for two hours to burn off the 550 calories that they gained from eating that slice of cheesecake, they may choose to walk or not eat that cheesecake. It will at least be an informed choice,” Dr. Husein says. “They also feel calmer and more in control of their lives. This goes to show that if you help people with their choices, and help them to decide what may be better or best for them, they can do very well,” Dr. Husein concludes. Vitafoods Asia will feature the Life Stages Theatre, where researchers and functional food developers alike will present their research findings on obesity and disease. The Vitafoods Asia conference and exhibition shares all aspects of the development and application of nutraceuticals, through to the branding, packaging and marketing of finished products. At the conference, and at theatres inside the exhibition hall, subject matter experts and industry leaders will present the latest research into nutraceuticals and discuss recent trends or findings at panel discussions.